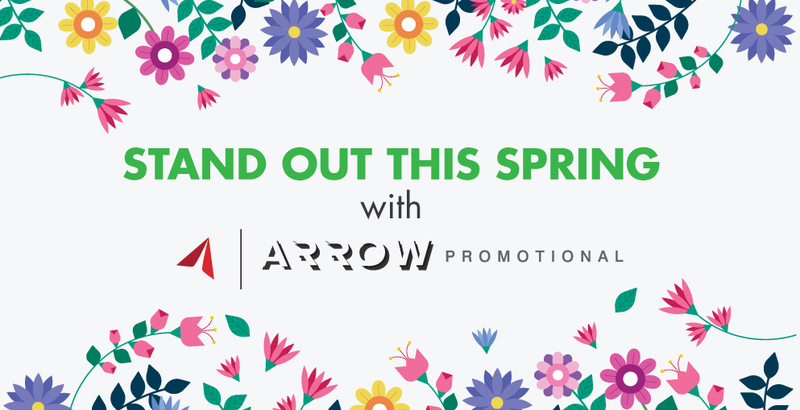 Step into spring with Arrow Promotional. It’s time to refresh, renew and revitalize your brand’s look with some great branded products. Whether it be for your employees, clients or an event giveaway, choose wisely, make a statement & stand out! And don’t forget: April 25th is Administrative Professionals Day — we’ll help you make your Admins smile! Planning on doing some office spring cleaning? 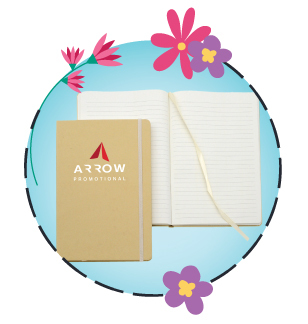 Consider starting fresh with eco-friendly journals for employee note-taking or a great client gift! If sustainability is part of your company-wide philosophy, you can't go wrong with this great push-action pen. 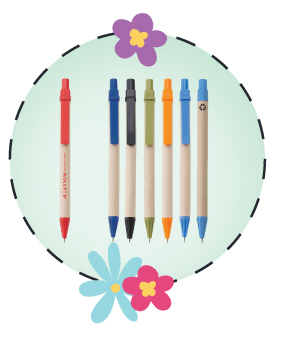 Using cornstarch trip, recycled paper and other biodegradable materials, this pen hits the mark on eco-friendly! A great gift to show appreciation or simply brighten up the desks of your employees! 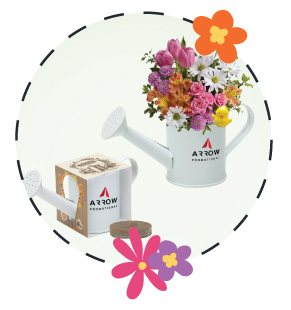 Includes a seed packet (multiple seed options), a peat pellet, the metal watering can planter, custom packaging and instructions. Available in white, silver or green. Spring is the best time of year for picnics and outdoor celebrations. It's always 5 o'clock somewhere, so wherever you are, this gift works! Double-wall construction for insulation of hot or cold liquids. BPA free! 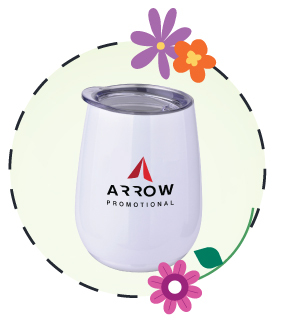 Interested in adding spring products to your marketing mix?